It wasn't until I saw a tweet on my twitter timeline did I ever think about the the amount of missing Black Women in girls in the the United States, currently there are 64,000 missing Black women and girls in this country, and most of us know nothing about it. Despite representing 12.85 percent of the population, Black Americans accounted for nearly 226,000 — or 34 percent — of all missing persons reported in 2012, said an article by Identities Mic, citing FBI figures. Those numbers are huge, and the lack of national attention to this matter qualify as a huge case of negligence by this country. How does such a large population of people go missing and there is no outcry about it. Or an outcry large enough for all of us to be aware? I begin to do research and what I found wasn't too great either. There has not been much coverage in the mainstream media about these appearances in the US. Critics say this underlines a racial divide in news coverage of such incidents. In addition, critics charge that law enforcement authorities do not seem to put in the same effort in finding victims or perpetrators when the missing persons are black. I don’t like to compare tragedies, and put them on scales as to which are more deserving than others, yet I saw more voices and calls to action about young girls being kidnapped from a boarding school in Nigeria by alleged terrorist group Boku Haram. The “Bring Back Our Girls” campaign was a huge one, that I even actively shared. Where is the campaign for the black women and girls here in this country? So many questions with not enough answers, I decided to create a Tumblr specifically for missing Black women and girls within the United States of America. A simple place for people to go to, and get information on the missing, and also Submit information for other Black women and girls who are missing and aren't getting national attention. The year 2014 has been a very draining one for me personally and also by the continuous disrespect to Black life within this country, that I needed to do something to counter that energy. This is the result of that. I needed to do something because honestly, we all we got. 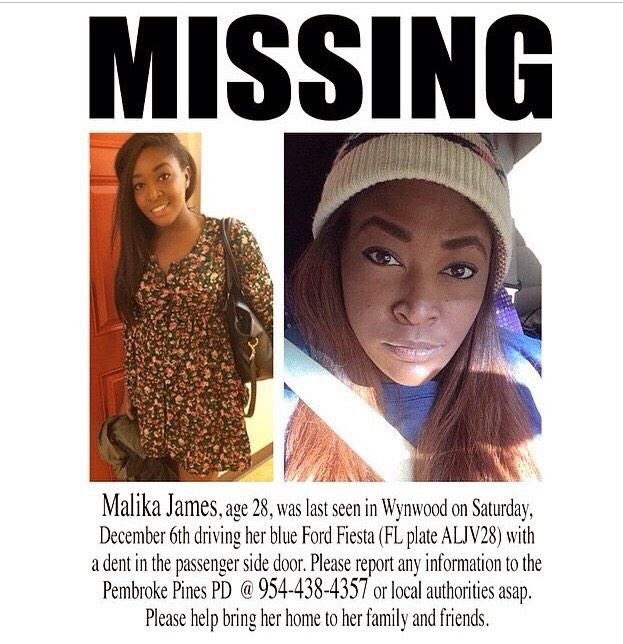 Please follow and share MissingWhileBlack.Tumblr.com lets help these Women and girls get back to their families. Also please comment your thoughts below.